CBD has exploded onto the health and wellness scene over the last few years. Reports of amazing restorative properties are being confirmed and formally recognized by clinical studies being carried out in a variety of medical areas. Despite growing acceptance, there remain several aspects of a CBD health regimen that remain frustratingly unanswered. 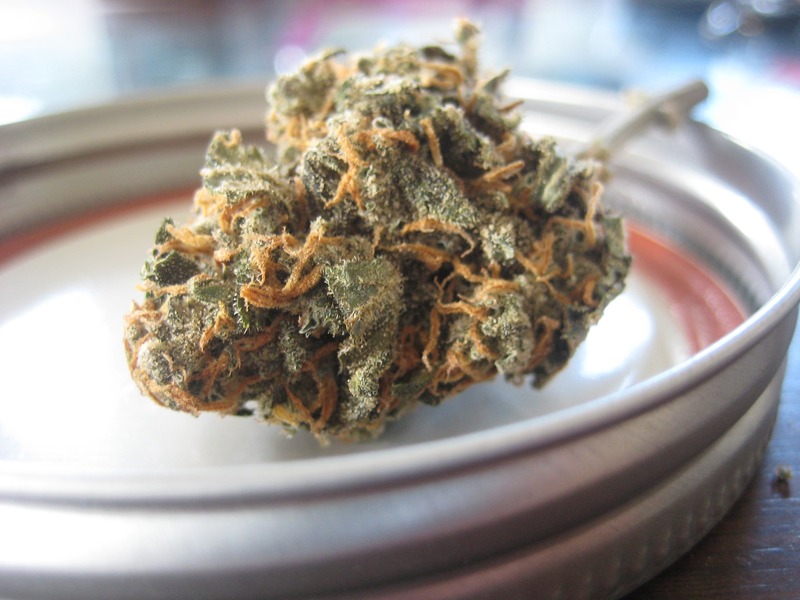 Among these unknowns are the questions of why CBD affects different people in different ways? Or should one use a full-spectrum CBD or an isolate for best results? Or, how much CBD should I take for an appropriate serving size? We at CBDtop10 have our thoughts on all of these questions, but with this infographic, we start with the question of serving size. This is a question that evades a firm answer but can be approached with a simple method to arrive at a satisfactory answer for you. As we have discussed in a lengthy blog post, several factors will determine your proper dosage. Physical size, the severity of ailments, and one’s overall health “balance” will affect the amount of CBD you require. So how does one find this personal sweet spot of CBD health and well-being? Follow the path on the accompanying infographic.and you will have the best method we know of to date. Although many CBD brands will publish a serving size on their bottles or websites, this doesn’t mean that they can say what will work best for you, as we discussed above. 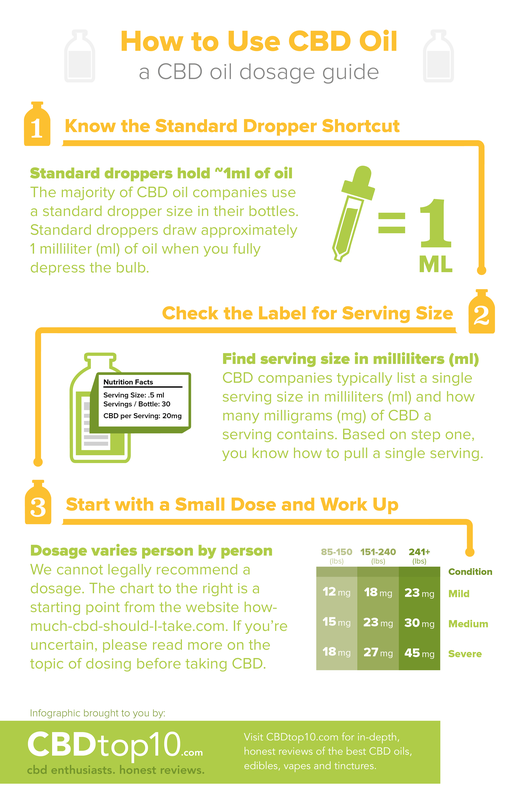 We suggest you follow our simple method to first know how much CBD is in a dropper of oil. Once you know that, you have a basis with which to calibrate your dosage. From there, it is somewhat of a trial an error method. We, along with most CBD authorities, recommend that you start with a low dosage (5 to 10 milligrams per day) and increase the amount until you find the level that works for you. If you are hoping to treat a serious ailment, you may want to consult our blog post for thoughts on a higher starting dose. We wish you good health and success with your CBD regimen!